Welcome to our series on gluten-free eating and drinking in London, highlighting London’s best gluten-free restaurants, bars, pubs and food shops. It’s thought that 1 in 100 people in the UK have coeliac disease. Given London has well over eight million inhabitants, a bit of basic maths suggests around 80,000 people in the city fall into this category. Add on all those people who have other gluten allergies and intolerances, and that’s a lot of demand for gluten-free food and drink — yet it’s not as prevalent as it should be. London is quietly becoming a top destination for free-from foods, and especially gluten-free offerings. Two new dedicated gluten free bakeries opened in the last year alone, we have dedicated producers bringing fresh gluten-free products to markets around town, and ever more diverse and high-quality gluten-free products are creeping into our delis, food halls and shops. However — unlike gluten-free dining in the capital — shopping for gluten-free foods remains a challenge, whether you’re after bread that doesn’t crumble, pasta that can pass for the real thing, or a cake made with love rather than in a lab. For top quality gluten-free foods move away from the supermarkets, which stock a compact, reliable range of big brands and own-label goods but focus on mass-produced, ready-made products. Likewise, leave behind the unreliable health food shops where scouring the shelves for whatever happens to be there that week makes gluten-free food shopping tiresome rather than inspiring. Instead seek out the growing number of creative and dedicated small-scale gluten-free producers who are revolutionising the free-from market. There are plenty of them out there, but they struggle to get onto mainstream food shop shelves and are all too often only stocked in random, local shops and delis. The list below is our pick of the producers and retailers who are working hard to bring diversity and interest to the gluten free shopping basket. This small chain of health food shops has dedicated free-from aisles showcasing gluten-free products and ingredients, including quinoa pasta, various flours and even hard to find psyllium husk for gluten-free baking. 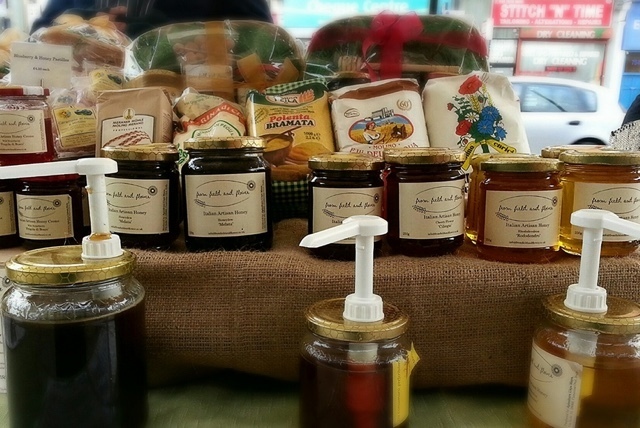 You’ll also find products from Irish Foods of Athenry, Primrose's Kitchen’s granola and organic gluten-free Daas beer. There are more than 200 gluten-free products to fill your basket with, in addition to a host of other natural foods of which much is organic. 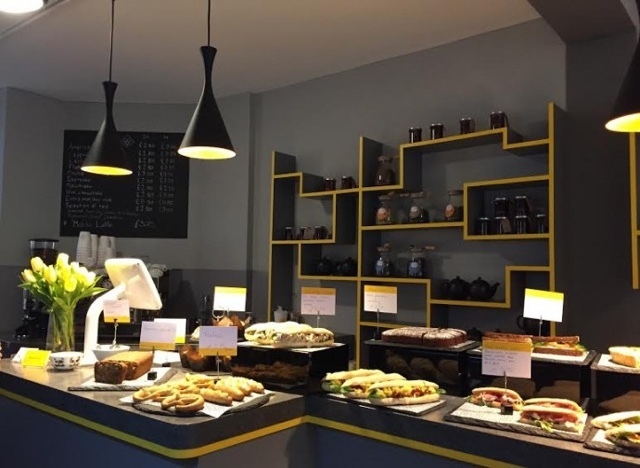 This sleek gluten-free bakery and café only opened in January, stocking excellent baguettes, sourdough bread, cacao nib shortbreads and much sought-after Danish pastries. Based on bespoke recipes developed using their own flour blends, each product is developed with a nod to unique ingredients — no dull, dry cheese sarnie here. Many of the products are also free from other allergens, such as dairy. This small chain of health food shops, which has been around for more than 20 years, prides itself on stocking the best of a wide range of gluten-free foods. Expect to find the fridge stocked with gnocchi, falafel and Cool Chile Co tortillas. In terms of dry goods there’s a varied range of flours and mixes, noodles and pastas, pizza bases, snack bars and lots of ingredients from big free-from producer Infinity Foods. A Chelsea stalwart since 1984, this gourmet shop produces hot and cold food to take away. It’s run by Paul who is a coeliac himself, so you know you’re in safe hands regarding products and cross contamination. Choose from own-made hand-raised steak pies, sausages from local butcher Jago’s and all kinds of salads, which are gluten-free unless otherwise stated. For a gourmet ready-meal, ask for the cold hotpots, soups and meals which you can re-heat at home. Note that some products are frozen to guarantee availability. This small chain of organic whole foods shops stocks a broad range of gluten-free products including breakfast options, pasta replacements, fresh pizza, 100% corn chips and even frozen ready meals. Many of its new own brand products are free-from friendly, including sprouted gluten-free oats, quinoa or brown rice (the sprouting making nutrients more digestible), snack bars, teff bread and granolas. This dedicated gluten-free artisan bakery and café has spent the last year perfecting gluten-free bread made with simple, clean ingredients. A long list of varieties includes white, wholegrain, sundried tomato, sourdough and roasted onion ensuring no shortage of choice. The bread is amongst the best around, slicing without falling apart, suitable for sandwiches and toasting well — it’s just like the real thing. 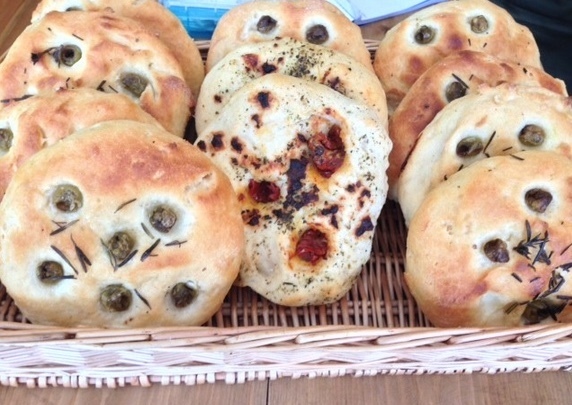 Baguettes, Danish pastries, focaccia, pizzas, quiche and a huge range of cakes are also available. This is the perfect place to discover what’s new in the food world, with the department store’s world-class food hall welcoming all kinds of innovative and new-to-market products. Availability can be unreliable, but it’s an excellent source of ready-to-eat free-from foods under one roof. Current notable products include Brixton’s WAG Free Bakery cakes, tarts and bread; Dorset-based Primrose's Kitchen’s nutrient-rich granola; Hotch Potch gluten-free scotch eggs; ready-to-cook gluten-free pizzas from The Lab and biscotti from Peace of Cake. 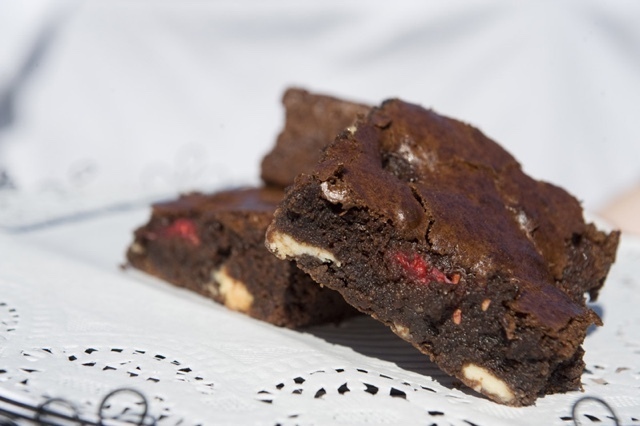 While there, check out the concessions for more gluten-free options. Daylesford Organic offers all manner of suitable cleaned-up soups, sauces, salads and snacks, while the Indian and ready-meal counters come equipped with staff happy to advise on allergens. Brace yourself for the widest range of gluten-free products sourced from around the world. At the biggest site in Kensington you’ll find every funny flour you could need alongside frozen shortcrust pastry, seven different brands of gluten-free pasta, stuffing, bread sauce, sausages and even pot noodles. Free-flow units dispense gluten-free buckwheat groats, cornflakes, puffed rice, brown rice flakes and millet to name just a few, and there’s also fresh bread from Kent-based ABO and cakes from B Tempted in Chelsea. While gluten-free alternatives are generally stocked alongside the equivalent ‘normal’ ingredients, also be sure to check the dedicated gluten-free section for more options, from Ugg Foods mixes to gluten-free miso. Take your credit card. Wholefoods has its flagship on High Street Kensington, with branches in Camden, Clapham Junction, Fulham, Piccadilly Circus, Richmond and Stoke Newington. London’s legendary — if touristy — specialist food market is a haven of free-from foods. Look around and you’ll discover a treasure trove of all-natural products which just happen to be gluten-free, including cured meats from British charcuterie boys Cannon and Cannon and all-meat sausages from The Ginger Pig. But it’s the dedicated gluten-free producers which will bring the most cheer to your weekly shop. A safe and authentic source of Mexican 100% corn tortillas, or masa harina (finely ground maize flour) to make your own tortillas. Everything they do is gluten free, from own-made chipotle ketchup or salsa to Mexican chocolate. Even the meal kits for cowboy beans or chili con carne are safe to eat. Cool Chile Co products are also stocked in many delis, including Planet Organic and Wholefoods. This stall specialises in ‘flaxjacks’ — healthy flapjacks made with naturally gluten-free, British grown, Omega 3 rich flaxseed. Choose from raspberry, date or other seasonal flavours. Make sure you ask for the gluten-free ones made with millet and quinoa, as some are made with normal oats. Specialising in honey, rice and flour from family producers in Piedmont, here you’ll find naturally gluten-free ingredients including flavoursome ceci (Italian chickpea flour), a fine yellow corn flour and rice from a 100-year-old family farm business — including black venus rice, superfine risotto rice and risotto meal kits. This organic, handmade breakfast company produces two gluten-free cereals, which are also on the menu at nearby restaurant Roast. Funstuff is packed with seeds and makes a great topping on yoghurt, while Granulsi is based on flaked and puffed millet, coconut, puffed rice and seeds for a more traditional muesli replacement. Gluten-free cornflakes are also available. Multiple award-winning gluten-free baker Caroline creates unique gluten free cakes, muffins, tarts and biscuits influenced by the season. Savoury muffins and tarts, blondies and brownies spiked with raspberry, mini lemon polenta loaf and fragrant spiced carrot cakes are just a few of the treats available. Many of them are also dairy, sugar and egg free, such as the fantastic rosemary and raisin cookies. This specialist beer shop known as The Cage stocks a select range of the UK’s gluten-free beers from small producers. Availability of brands can vary, but expect to find Celia, an organic Czech lager; Suffolk-based St Peter’s lager or dark ale; and organic buckwheat based Mongozo pilsner. Speak to the knowledgeable staff to find one to suit your tastes. While not a shop, this annual dedicated free-from food show is a fantastic place to stock up as many producers have great discount deals. Discover new gluten-free products from the big boys, chat to small new companies and discover gluten-free resources such as online retailers. Be sure to check out the sister shows Just V Show (vegetarian) and Love Natural Love Organic at the same site for many more gluten-free friendly foods. The next Allergy and Free From Show Sponsored by Udi's Gluten Free runs from 3-5 July 2015 at Olympia; tickets are free. NOTE: to ensure safe free-from cooking and consumption at home, always check the ingredient labels for the bold allergens. Depending on your sensitivity, check for the ‘may contain traces of…’ clause. In many cases, especially with ingredients such as flour, the product may be naturally gluten free, but milled with others that aren’t leading to cross contamination. If in doubt speak to someone, or a tweet very often gets a response.